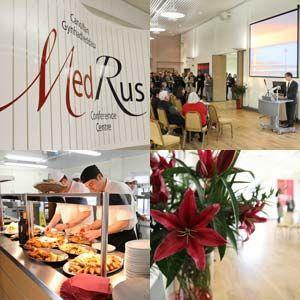 Medrus Conference Centre at Aberystwyth University01970 621960work Conference CentreAberystwyth University is centrally-placed within Wales with equal travel time from north and south, and ample free on-site parking - we are the perfect choice for your all-Wales day or residential meeting. 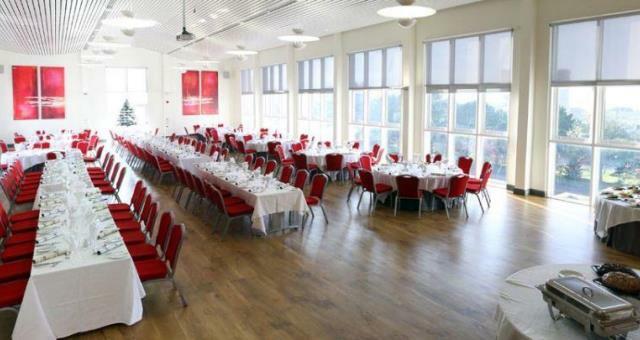 Excellent meeting and hospitality facilities are available all year round at Aberystwyth University - seven days a week. Overnight meetings can use our 300 en-suite bedrooms or a range of standard campus bedrooms at competitive rates during the summer vacation. A host of meeting rooms with a complete range of sizes and styles from the very small meeting through to 1200 persons. Plus, high quality audio-visual capability including large screen computer and video projection - whatever your size we have facilities to suit. Our team of professional conference organisers are available to assist you with planning and guidance right through to a complete event management service if required - leaving you free to organise your programme with confidence. Aberystwyth University is centrally-placed within Wales with equal travel time from north and south, and ample free on-site parking - we are the perfect choice for your all-Wales day or residential meeting. The educational and administrative offices of a range of Welsh organisations are situated within Aberystwyth, making it perhaps the 'Alternative Capital of Wales' with an exciting combination of indigenous and international flavours that only a small university resort can produce.